← Is the Green Deal a good deal for me? 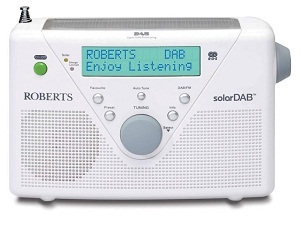 Our friends Green Reviews have teamed up with Roberts to offer 3 lucky people the chance to win a SolarDAB radio. Green Reviews is the place to find the best eco products on the market today, reviewed side by side to help you be greener without the hassle. This fantastic radio is the world’s first solar-powered DAB radio and is the perfect eco addition to any home or a fantastic portable radio for lovers of the outdoors. With a stylish and practical design and the excellent build quality you would expect from Roberts this is a giveaway not to be missed. To enter all you have to do is visit www.greenreviews.co.uk and follow their instructions. This entry was posted in Green Lifestyle and tagged Eco products. Bookmark the permalink.